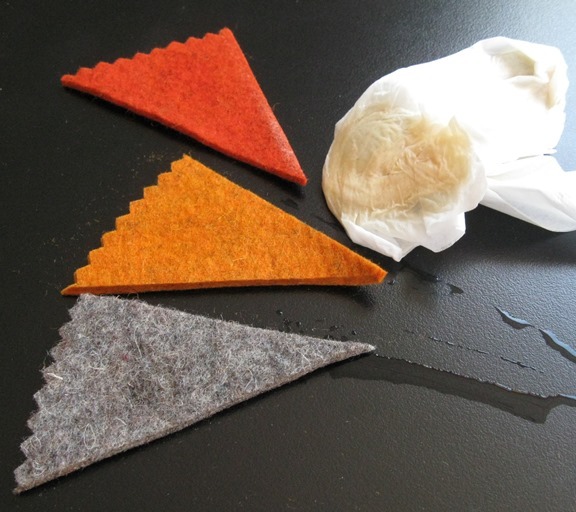 Care and cleaning of wool felt tea or coffee cozies. If the felt gets roughed up during your spot cleaning, gently iron using the wool steam setting with a damp tea towel between the iron and the cosy. Drycleaning — not machine washing — is your other alternative. Point out where the stains are when you take it in. Tea is widely used as a dye and its stains can be, well, a bugger to get out of a nice white shirt for instance. Here’s a test run of tea stains on some felt samples and a step by step on cleaning. 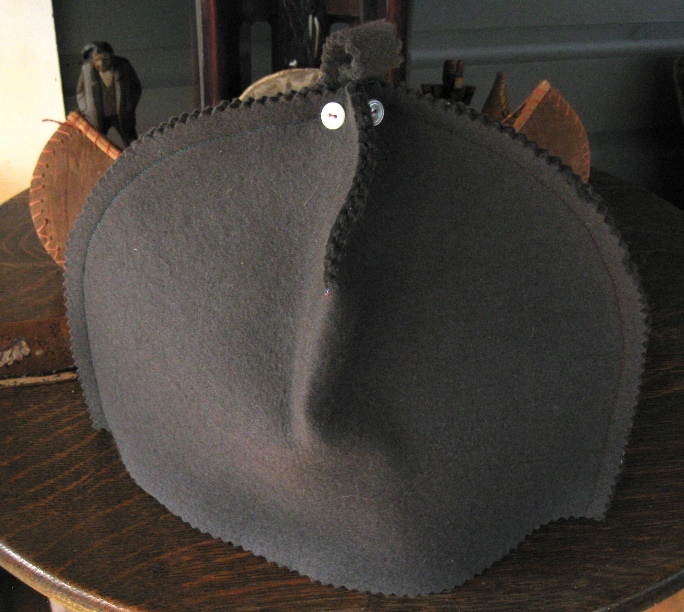 In the five years since it was made this cosy has experienced normal wear and tear and stuffing-in-drawers between tea-drinking visitors. So, having a lazy afternoon at hand, I thought I’d see what kind of ‘spa’ rejuvenation I could give it.